Quiet in fact is not exactly the tonality of Norway's Matias Faldbakken (*1973). His second solo at Eva Presenhuber greets you with heavy metal instead – lot's of it, in his slightly signature locker form (server safes this time), large construction pipes, gas bottles (tormented), and stacks of tables and chairs too, mingling with blackboards (whatever's left to learn), surfboards, and just boards. The news is: a symphony of carefully selected, rendered, then layered imagery – quite like the too many open tabs stacked by default on your device – on each and every found object, and for each and every vaguely nostalgic item (who knows) from the reference system of Faldbakken, the writer (Halil + Nadine & sodom), the dude (skate videos & institutional critique puns on hooded sweaters) - and then again, the almost adult (Deleuze, Brute Art, Snow White). Plus many more overlaps to explore; within and about this stunning capacity to simultaneously stay true & smart out, serve & subvert, sarcasm & style. Must see. Metallurgy too is the tone of Tobias Kaspar (*1984, Basel), this time more tissue than lump: reflective haute fabric on frames, geometrically endorsing KALE as best booty's new nutrient, shine bright on that selfie, or cover; hard to get and, of course, playing it down. Bronze, here, is neither of age nor coming of age, but an up-to-date archeology of Broadway's best trash cast in the radiant alloy, ready for the show or shoot. 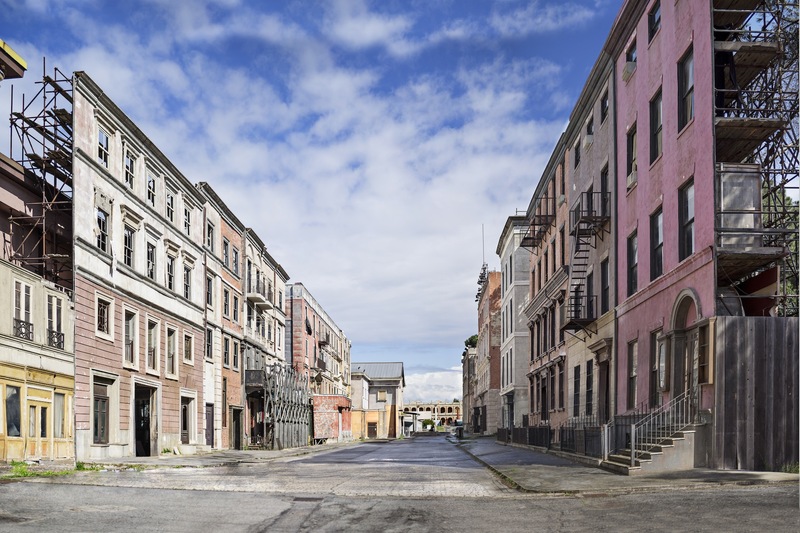 Quite like in the true tissue that THE STREET really is, a complex mixed-media, multi-representational project about that same Broadway (concurrently beautified) set at the Cinecittà Studios in Rome. There & here, outputs (the HD trilogy screened next door) and intakes (watch out for that bronze Aspirin) parade in Kaspar's consequentially immersive take on ordinary glam life & style, always almost available, and yet most clearly storefront business. Though on sale this show is more, clearly, and much. Tobias Kaspar @ Peter Kilchmann from Kunsthalle Zürich on Vimeo. Nick Oberthaler – I CAN SEE THE WHOLE ROOM!...AND THERE'S NOBODY IN IT! with a performance by Helga Wretman!